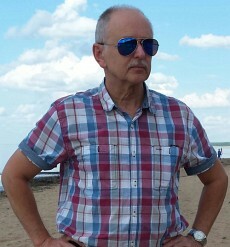 Мy name is Viktors Graudins and I am from Riga, Latvia. My practice in healing begun since year 1989, when my youngest daughter needed help and no doctor or healer could help her. At that time I was in a deep soulful desperation and approached God in prayers to give me the ability to help my daughter and others. My prayer was heard and since then started my way to healing and parapsychological abilities cognition and development. I am practicioner of energetic and alternative medicine, teacher and student at the same time. I don't qualify for GURU or absolute life expert's role, because same like many others I'm in a continuous development process. I created this website to provide its visitors and interested persons with bigger perception of those alternative medicine directions, which I most work with and can provide help. In my practice I'm also using the experience gained from various literatures, from the earth's and a fine plan teachers, assistants and in several courses in St. Petersburg, Moscow, and London (UK College of Holistic Training - Energy Healing Science 2010). All this compared, analyzed and tried in my practice both in direct and remotely healing contact, as well with a variety of bioresonance and other fine field frequency apparatus. To be able to help actually, it is not enough just with the knowledge gained in some healing school. It can not be taught! There are no incurable disease, there are only incurable people. They are not willing to change their diet, lifestyle and relationships. Only trainings, knowledge and many years of practice. Meanwhile have to be creative as artist, so I'm constantly developing and always remember that the viruses and bacterias develop each year as well. Is it possible to help everyone and heal everything? - No, because each have got its problem or disease in a different way and carrying it different time.